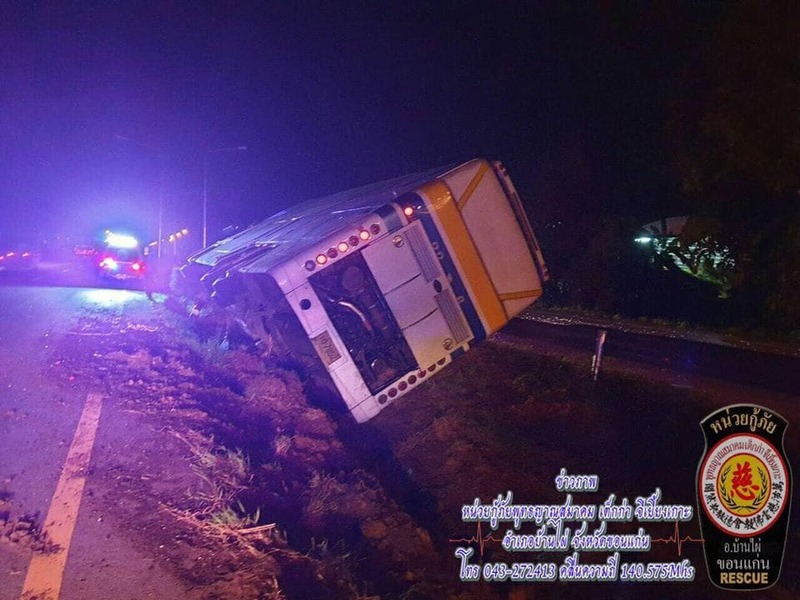 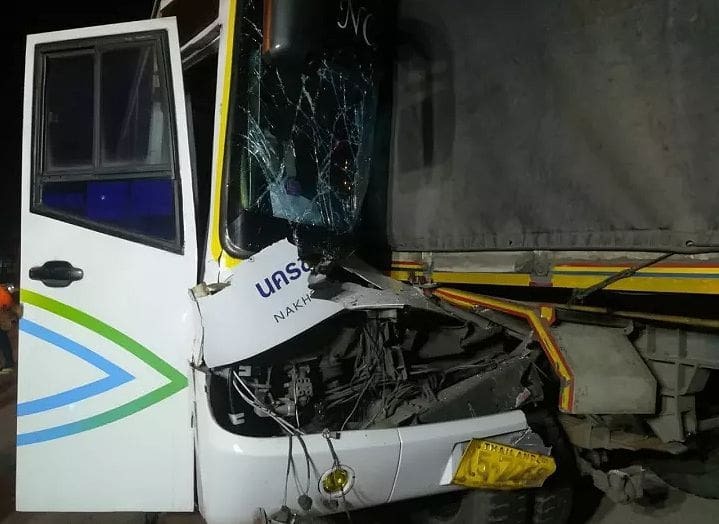 An inter-provincial Khon Kaen-Bangkok bus slammed into the back of a truck on a Nakhon Ratchasima road early this morning. 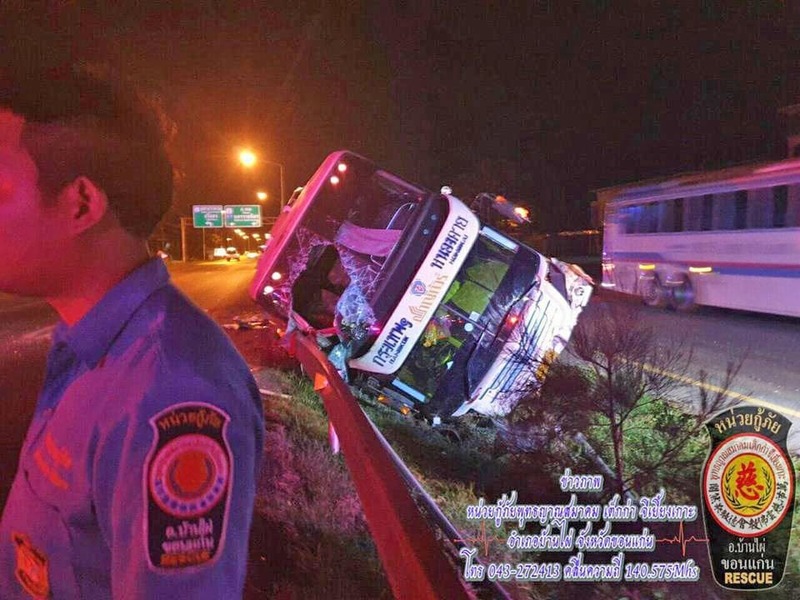 The collision killing the bus hostess and injured 24 passengers. 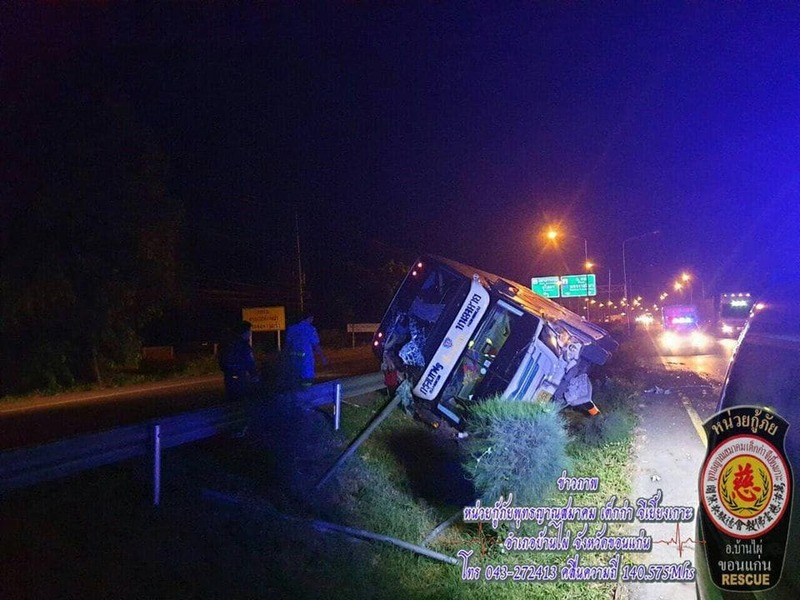 It is the latest in a series of inter-provincial bus crashes over the past week. 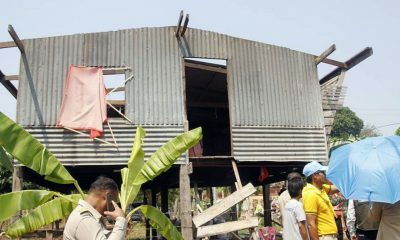 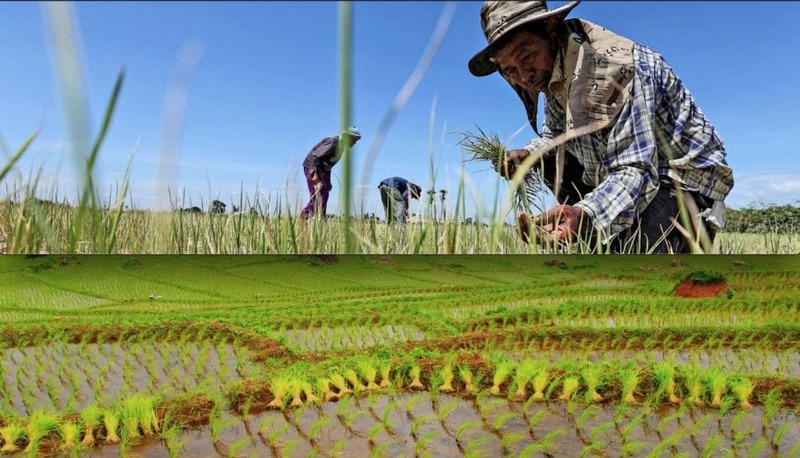 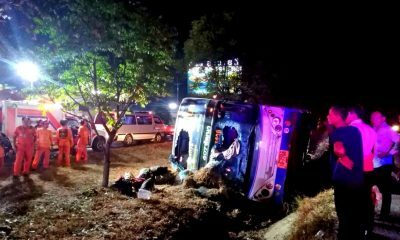 The Pak Chong police station was alerted at 2.30am to the accident on Mitraparp road in Tambon Nong Daeng, Pak Chong district. 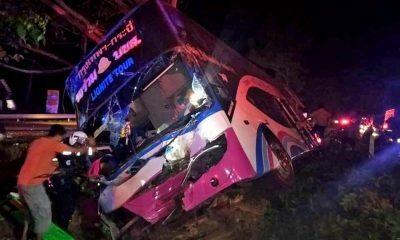 The bus hostess, 31 year old Laddawal Boonchuang, was killed sitting in her seat. 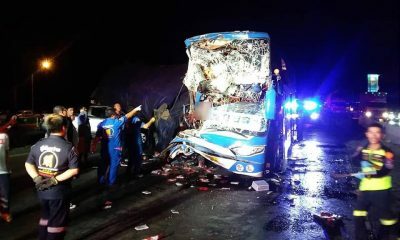 15 other women, 8 men and a boy were also injured in the crash. 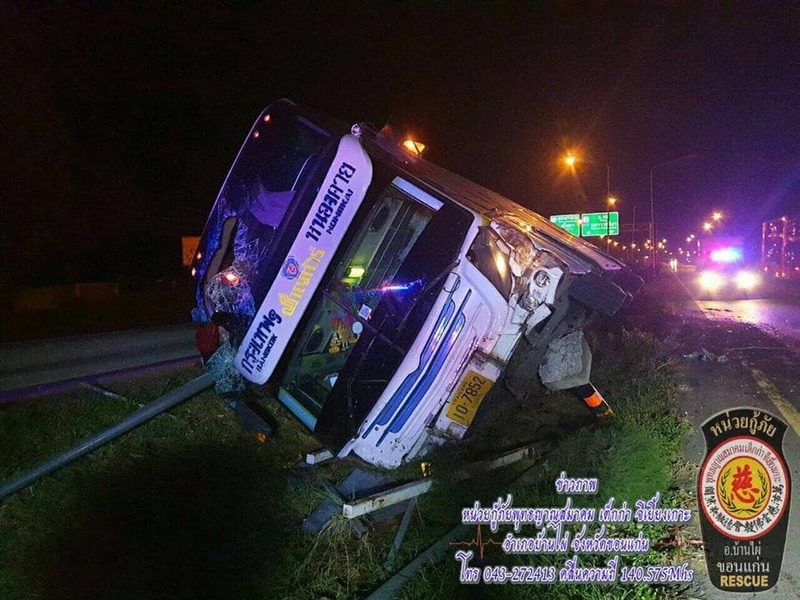 The 46 year old bus driver Thanawin Praping told police that he dozed off behind the wheel before his bus hit the back of the truck. 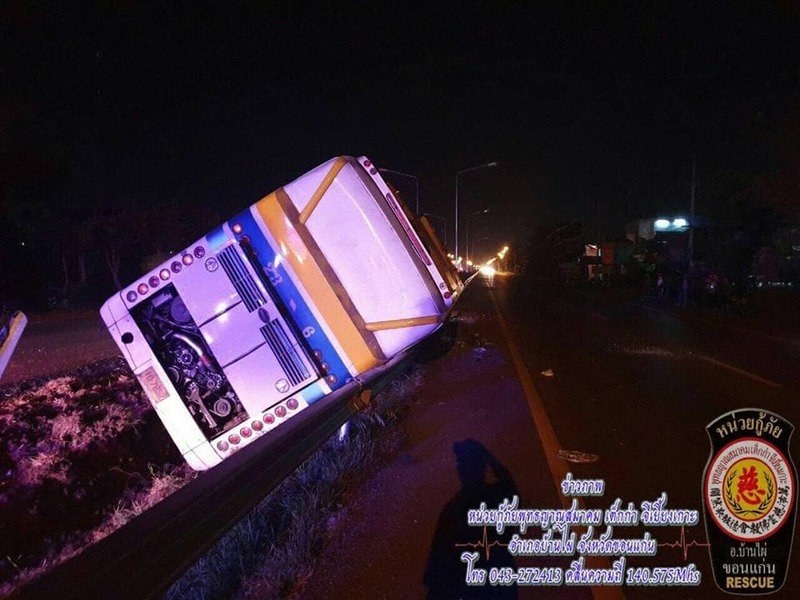 He said he left Khon Kaen at 10pm on Monday night. 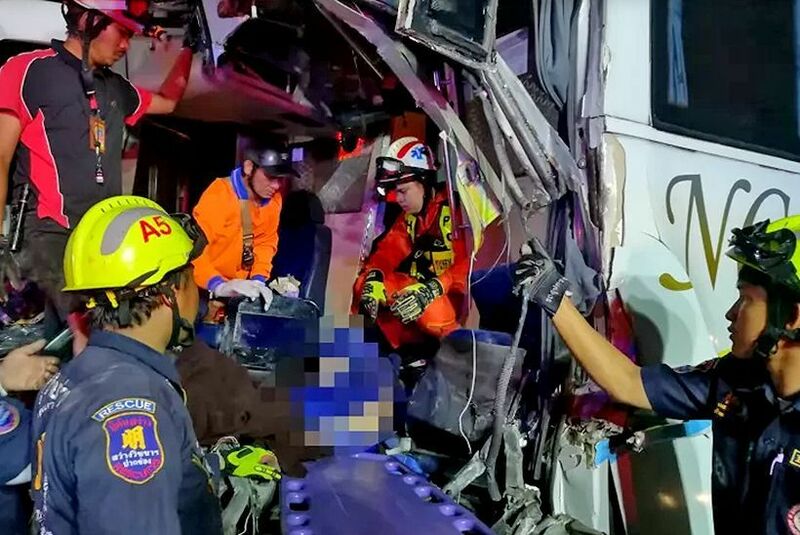 The bus driver has been charged with reckless driving causing death and injury.